Item Number: 78-120C 19192 Actual Weight: 37.5 lbs. Create your own vinyl strip door system. 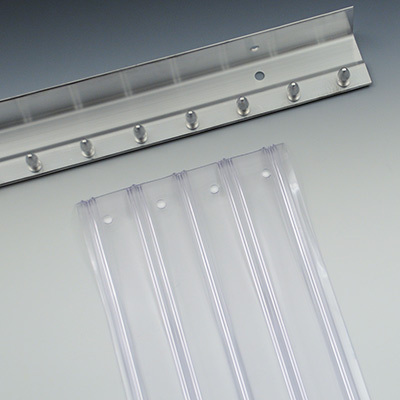 Easy-to-install options that include pre-cut strips and aluminum mounting hardware. Scratch-resistant style prevents dust, air and noise from moving between areas. Vinyl strips are heavy-duty and ribbed so strips do not scratch one another. Orange safety strips identify hazard areas as well as marking door jambs and high traffic areas.